Hey, lady! You're supposed to hold the note in the hand that has the glove! A Boystown bank was robbed by a woman who claimed to have a gun Wednesday afternoon according to the FBI and Chicago police. A person of interest was being questioned late Wednesday night, but no charges were filed. 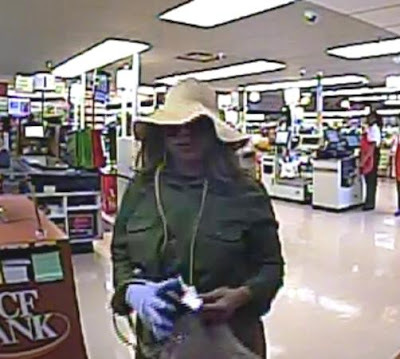 Cops say the woman presented a note saying “Give me your money because I have a gun," at TCF bank inside of Jewel-Osco at 3531 N. Broadway around 12:56PM. The FBI describes the offender as a shorter black woman in her 30's. She wore a large floppy hat, sunglasses, and a green shirt.